Costa Rica's world-renowned wilderness looks even better when explored in one of the country's less-frequented pockets of rain forest. 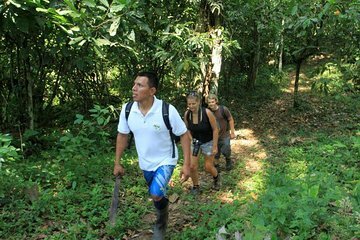 Hike through the Kekoldi Reserve with a guide on this trip from Limon, with opportunities to spot the reserve's abundant wildlife and to swim at the foot of a waterfall. This tour also introduces you to local Bribri culture with lunch at a local home before return transfer to your hotel.